(1) The FRP Pipe arrives at the site and should be transported to the corresponding operation site for immediate commencement of construction. If irresistible factors cannot be immediately implemented, the pipe should be safely stored. 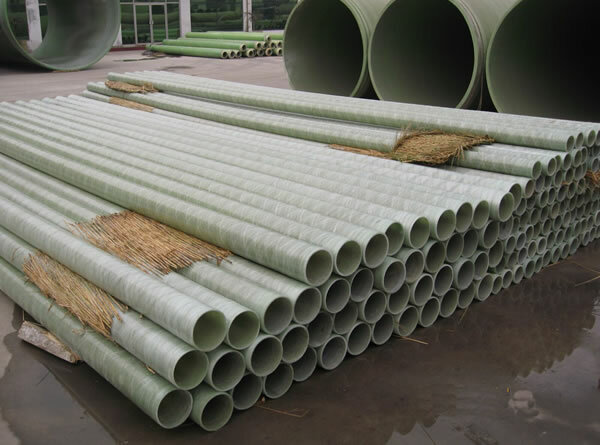 (2) The auxiliary connection materials for FRP Pipe include glass fiber yarns, chopped strand mats, glass fiber cloths and other reinforcing materials and resins, curing agents, accelerants, anti-aging agents and other matrix materials, as well as all kinds of cement, etc. These materials must be classified properly. Store in a dry place out of direct sunlight. The rubber ring should be protected from the sun and away from heat, and must not be in contact with oils and organic solvents. Pipes and fittings should be stacked according to type, size and grade. Soft cushions should be added between the layers. Keep away from heat sources and flammable and explosive materials. Store in the open air for a long period of time to prevent sun exposure. (3) When the FRP Pipe is stored directly on the ground, the ground should be flat. It is strictly forbidden to store the pipe on sharp hard objects. The stacked pipe should be added with a wooden wedge to prevent rolling. (4) Pipes should be classified according to specifications. Each layer should be placed on a sleeper and the spacing should be less than 1/2 length. Pipe stacking height should not exceed 2 meters, DN1400 pipelines can not be stacked.